When you’re setting up and running a salon, word of mouth is everything. Stellar service not only helps you get those coveted in-person recommendations, it also translates to great online reviews. When we surveyed 1,800 U.S. customers, we found that 36% were likely to seek out online reviews when looking to try a new salon. Here in the UK, BrightLocal has found that 73% trust a local business more when it has positive reviews. With these stats in mind — plus the fact that online review site TripAdvisor is now ranked 140 out of all the world’s websites — it’s critical that your salon continually gets positive reviews. 1. Do you send appointment reminders? Appointment reminders — whether a text message, email or phone call — show customers they haven’t been forgotten, and communicate that you’re looking forward to seeing them. They also help you stay on track with your own schedule (and make more money) by freeing up appointment slots created by cancellations. With better organisation, you’ll be able to deliver great customer service, worry- and disappointment-free. 2. Is your salon squeaky clean? If a lack of cleanliness is prompting customers to write negative reviews, prioritise cleaning on an hourly basis so that your salon feels fresh to everyone who comes in. Take extra care to dust off seats, freshen surfaces and polish mirrors when you seat a new customer. It shows them you care about a hygienic as well as relaxing experience. Based on our survey, these next topics are most likely to make people write a good review of a salon. 3. Are your staff helpful and kind? A telling 60% of customers in our survey said rude or inattentive staff were a big factor in leaving negative reviews. When hiring, look for employees who share your passion for the salon industry. Emphasise how important customer service is and only hire staff that meet your standards. If your staff aren’t providing the levels of customer service that you expect and have asked for, raise the issue with them as soon as possible. 4. Do you treat your customers like royalty? As you know well, customers see their salon visit as a time to do something exclusively for themselves and get pampered. Providing drinks, snacks, magazines and books or other treats turns a simple salon visit into a memorable experience. You can also tweak your services to add a little extra sparkle. This could be a head massage for someone getting a haircut, or a luxurious, moisturising hand treatment for someone getting their nails painted. 5. Do you respond to customer reviews, both positive and negative? Responding to negative and positive feedback alike is an important part of getting more of the good stuff. For positive reviews, it shows gratitude and a commitment to your ongoing business-customer relationship. For bad reviews, it communicates that the customer matters enough for you to make it up to them and that your business can live up to their standards, should they give you a second chance. Responding publicly on review sites also shows prospective customers that you’re serious about what you do, building trust and making them more likely to give your salon a shot. These open sites can be limiting for the discussions you want to have with a dissatisfied customer. So alternative feedback systems that let you work out matters in private are a great supplement. If you answered yes to all the questions above, keep doing what you’re doing (it sounds like you’re doing great), but never stop thinking of new ways to put a smile on your customers’ faces. New competitors will pop up all the time and keeping a fresh approach will make sure you don’t get left behind. Which review sites matter most? U.S. figures on Google search show that 34% of people who search locally on their tablet or computer visit a listed store within a day. That number hits 50% when they’re on a smartphone. With so many people searching and so many companies to choose from, this is why it’s so important to have your salon listed on Google, complete with good reviews. In our survey, Facebook came out on top as the place people were most likely to find a business — 52% beating Google’s 43%. As a social media site set up for communication, Facebook gives you a rare opportunity to respond to reviews as part of a wider conversation. It also gives you the freedom to upload and share your own photos. Ranked number one of all the websites in its category, TripAdvisor is the unquestionable leader of review sites for businesses and destinations. Getting your salon listed whilst encouraging customers to leave their positive reviews and photos will set you up well against your competition. 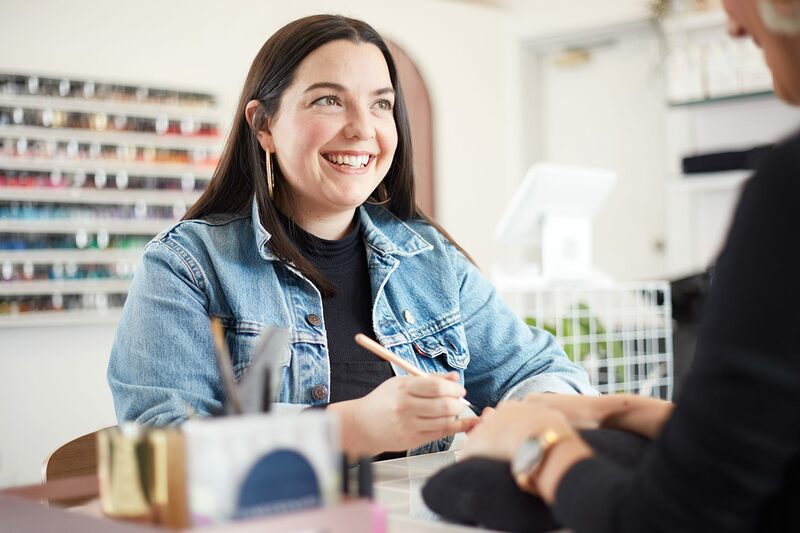 As a discovery site for discount treatments, Treatwell gets your salon in front of people who are serious about booking a deal. With over 30,000 salons listed on the platform in total, standing out with a list of great reviews is crucial. Reduce no-shows, get free online booking and integrate appointments with your payments.